Commercial vehicles aren’t the only mode of transportation that can be automated, but when it comes to urban spaces, they’re likely to be the early movers. That’s the assessment of panelists Wednesday at the Empire State of Mobility Conference in Manhattan. They predicted that long-haul trucks, delivery vans, fleet units and other business-based vehicles will be at the front lines as self-driving vehicles are introduced onto city streets. The conference at the Jacob Javits Center was one of several associated with this week’s New York International Auto Show, which takes place in one of the most densely populated cities in the world. Ash’s session focused on the role of cities as test beds for mobility innovation. Automated vehicle technology, he said, could save 30,000 lives a year in the U.S. at a cost savings of 30 percent to 60 percent per mile. But unless the rollout is carefully coordinated, automated vehicle adoption could have unintended consequences, including increased pollution, availability that is limited to higher-income areas and lack of investment in infrastructure, panelists said. “We’re only in the first wave of this technology,” said moderator Seval Oz, former chief executive of manufacturing company Continental Intelligent Transportation Systems. “Our responsibility is to start small. That includes checking off basic, unglamorous requirements such as painting clearer road signals, filling in potholes and gathering data on transportation trends, said panelist Dawn Manley, director of Samsung’s Strategy and Innovation Center in Menlo Park, Calif.
“There are all of these small steps that cities and regions can start with and then move on to tackle the big problems,” she said. But who should take the lead in preparing urban areas for self-driving vehicles? Oz, former head of global partnerships and business development at GoogleX, pointed out that cities and states have multiple transportation departments creating a “mishmash of budgets” and a hodgepodge of rules. Still, many cities have embraced the technology. Pittsburgh welcomed Uber, whose Advanced Technologies Center launched self-driving vehicles in the city last fall. Boston recently began hosting a fleet of autonomous electric Renaults being tested by local start-up nuTonomy. The Dallas-Fort Worth metropolitan region has a dedicated program manager for automated vehicles. The Austin City Council approved a resolution in March calling for a plan to embrace electric and autonomous mobility options. 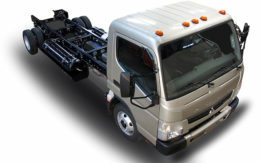 Cities could even send out driverless garbage trucks that use extendable machine arms to collect trash, panelists said. But potential complications at the government level mean that businesses might play a major role in bringing driverless vehicles to the mass market. Distance trucking could benefit from decreased distractions, fixed speeds and cost savings, relying on drivers to manage trip navigation and to guide the rig off and onto ramps. “It’s a very compelling and attractive business models for long-haul trucking,” Oz said. Grayson Brulte, president of consulting company Brulte & Co., adds that as truck drivers today become “autonomous logistics officers” tomorrow, they may ultimately enjoy higher salaries and better hours. Government and enterprise should support driverless vehicle onboarding, Brulte said. He hopes that, one day, Beverly Hills will shut down its famous Rodeo Drive to host an autonomous vehicle demonstration day. He wonders whether his 3-year-old daughter will ever have to drive her own car. Federally, the future of driverless deployment hinges largely on Transportation Secretary Elaine Chao. “She’s made bullish statements before, but now they’re iffy statements,” Brulte said. Forward-thinking cities hoping to make self-driving vehicles a reality must tread carefully. Unlike some technologies, automated cars and trucks are extremely visible to consumers and might face extra scrutiny. Other sessions at the Manhattan conference involved the use of public-private partnerships to support groundbreaking urban mobility techniques. Panelists from Zipcar, Navigant Research and smart transportation technologies advisory firm VectoIQ discussed how lack of consumer education and high turnover at dealerships can hamper technology adoption. Ash also presented data from his firm suggesting that New Orleans; Albuquerque, N.M.; and Tucson, Ariz., would be the most affected by automated vehicle adoption. Researchers considered regional features such as population, number of intra-city trips, frequency of drives that were 10 miles or less, parking availability and more. Other metro areas primed for a major transportation shake-up if the technology generates mass appeal include Portland, Ore.; Omaha, Neb. ; El Paso, Texas; Fresno, Calif.; Wichita, Kan.; Las Vegas and Tulsa, Okla.
INRIX also looked at how cities such as San Francisco, Austin and New York City would accommodate automated vehicles. In Manhattan, the firm identified three areas ripe for automated vehicle deployment. In Harlem, the self-driving vehicles would give an underserved, lower-income population better access to transportation, according to researchers. In the Upper East Side, the vehicles would help alleviate a parking shortage. And in the Lower East Side, automation would be well-suited to a demographic that already tends to travel very short distances.